Well, if you know me well, you will know that I am a massive fan of the MTV Live events. I went to the MTV EMAs last year held in Amsterdam which was an absolute blast. The VMAs is a much bigger event though and is always held in the big US cities at the end of August. This year it was held in LA at The Forum. Some amazing singers and rappers attended the show and there were some pretty epic performances to be found. First off there was a medley of the summer hits sung by Ariana Grande, Nicki Minaj and Jessie J. Jessie J’s hit features both Grande and Minaj and so they re-grouped at the end of the medley to sing the big hit “Bang Bang”. My favourite of the three songs has to be Nicki Minaj singing “Anaconda”, the performance was a delight and featured lots of twerking. It was also vaguely reminiscent of the performance Britney Spears gave back in 2001 when she performed “I’m A Slave 4 U” at the VMAs. Next up, we had performances from Taylor Swift and Sam Smith. Taylor Swift has a new album coming out shortly called 1989 and she performed the first track to be lifted from this album called “Shake It Off”. It was a great pop-tastic performance and I am a really big fan of the song. 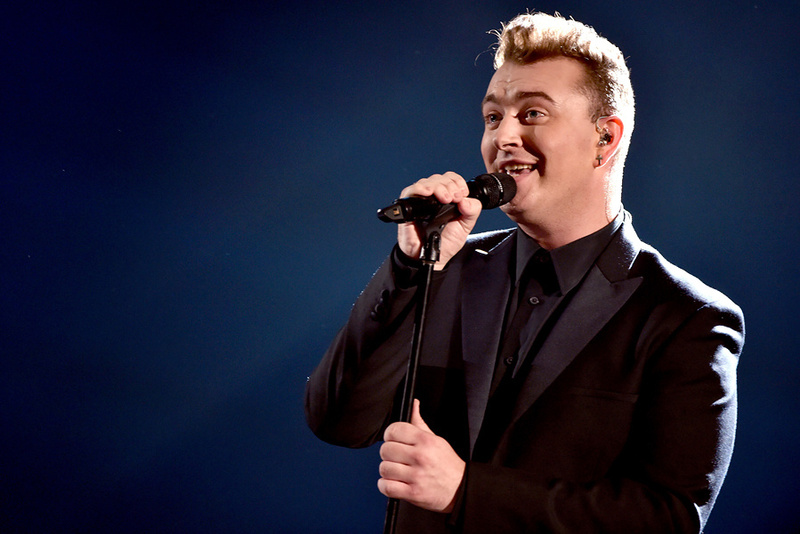 Sam Smith is a British singer who you will know as the vocalist on a certain Disclosure song. I haven’t checked out his album yet (despite it being out in May) but after this performance of “Stay With Me” I will be sure to give it a whirl on Spotify, absolute fantastic live vocal. We also saw performances from Usher, 5 Seconds of Summer, Iggy Azalea and Maroon 5. I wasn’t blown away by Usher, I have to say. Usher normally “brings it” and delivers a superb routine but tonight I really wasn’t feeling it. The song he sung (which I presume is his new single) passed me by without going anywhere, the same can be said of our next performers 5 Seconds of Summer who had a song that really did not go anywhere. I’m not a fan of them to be honest. Next came Iggy Azalea (with added Rita Ora) to perform the big track “Black Widow” which I really love, they delivered a grand performance but compared to the opening performance from three other divas, it felt a bit washed out. Maroon 5 couldn’t be bothered to go inside the venue to perform (I have no idea why MTV pushes for performances outside of the venue) but the song they sang was a lively track, and you could tell the audience loved it. Finally, the big moment of the night. Beyoncé absolutely smashed it. She won the prestigious Video Vanguard award and took the moment to perform a medley of songs from her recent self-titled album. You know when Beyoncé performs, she will never fail to impress. She pulled out all of the stops and there were some really artistic shows on stage. It all came to a conclusion with her song Blue which is all about her daughter Blue Ivy. At the end of the song, a clearly emotional Beyoncé was joined on stage by husband Jay-Z and Blue Ivy who hugged it out, dispelling any rumours about a potential divorce. Overall, a fantastic night. I hate that the UK gets it on delay as I would happily stay up to 2/3am in the morning to watch it live. MTV UK need to sort that out. It poses the question of how the MTV EMAs will shape up, which is due to be held in Glasgow in November. The other interesting thing about that is that it may be held in an independent Scotland. How weird would that be?